The latest Range Rover Vogue models have become a bit chintzy to be honest. 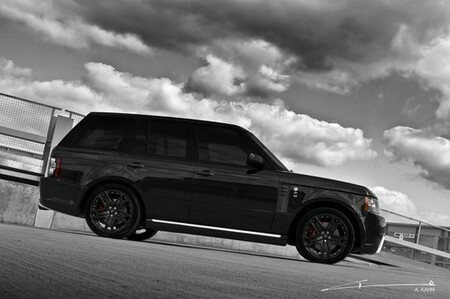 But don’t despair because Project Kahn has just launched a program that can make the RR a man’s car again! They call it the Black Vogue and as the name suggests it’s all blacked-out. The body, the windows, the rims, the lights, the lot. They’re all black. The car also sports a neat Kahn body kit with front and back bumper, side vents, billet finish side skirts, plus Kahn RS6 22-inch rims. They even hook you up with s sport exhaust system. People will be scared of this car anywhere it goes, and that’s just brilliant!